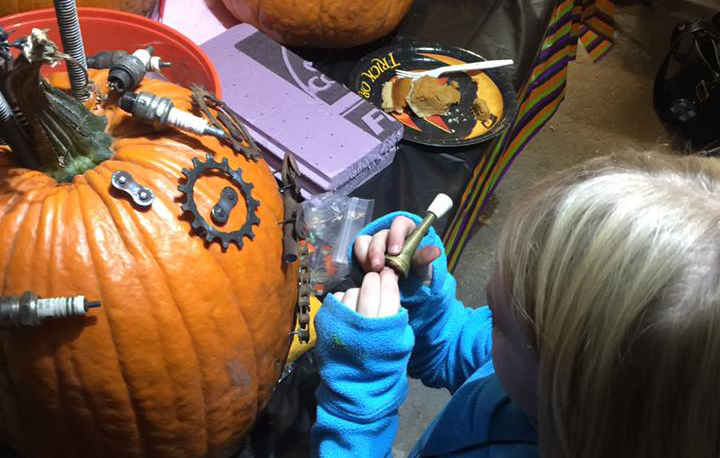 The firm has been decorating the Children’s Home Society campus with its spooky creations since 2001. Koch Hazard Architect families gathered together to carve, junk and paint 15 pumpkins to be displayed on the Children’s Home Society campus for Halloween. The firm has been decorating the Children’s Home Society campus with its spooky creations since 2001. Children’s Home Society of South Dakota serves over 2,000 children each year, primarily ages 4-13, through residential treatment, education, forensic interview and exam centers, foster care and adoption services, and prevention services. The majority of these children are victims of severe abuse or neglect.